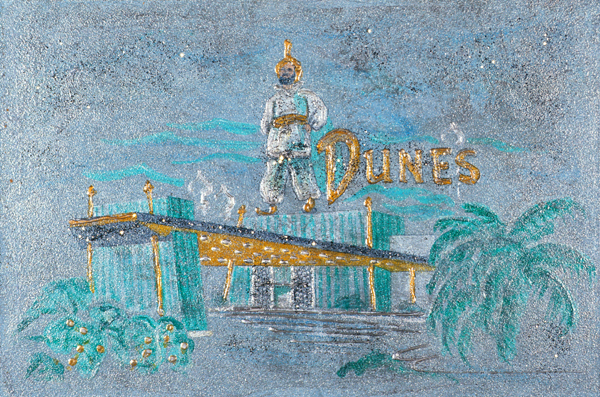 Sparkles in Quick Sand (Desert Diamonds and Granular Glints of Glamour) is an homage to the glitz and glitter of Lost Vegas. 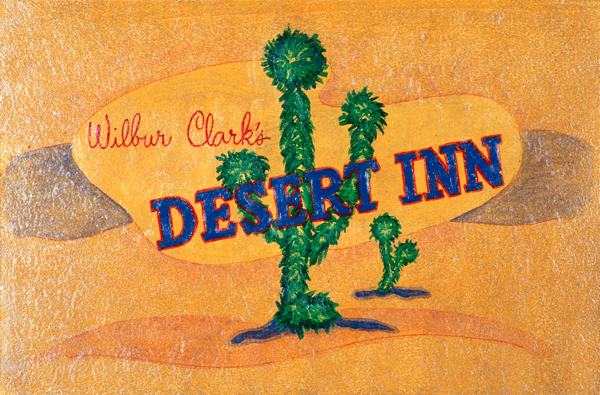 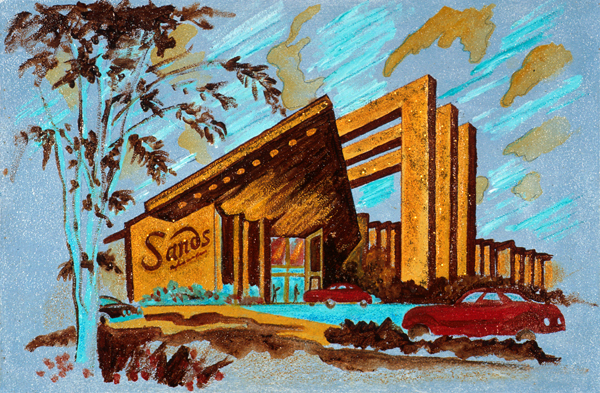 This series of paintings by Cherry Capri are inspired by the vintage matchbook art of famed Vegas hotels from the 1950s and 1960s. 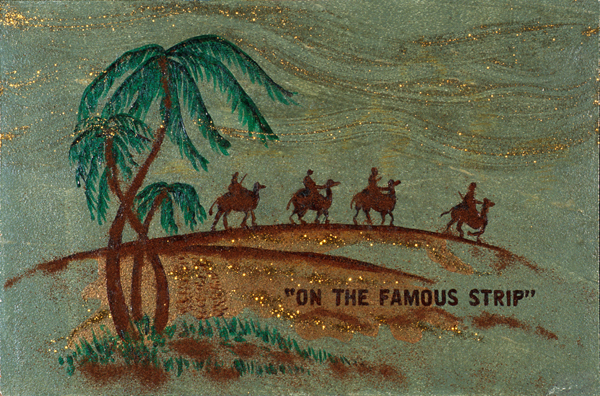 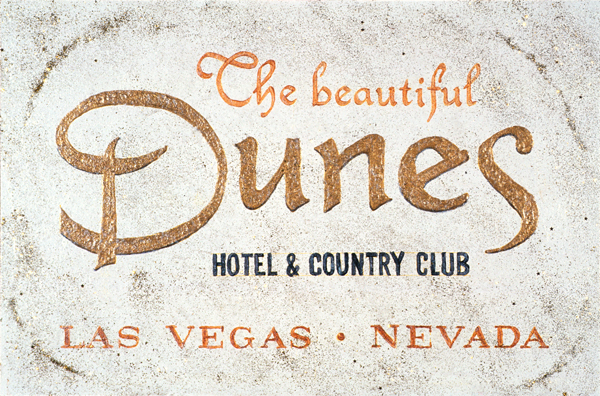 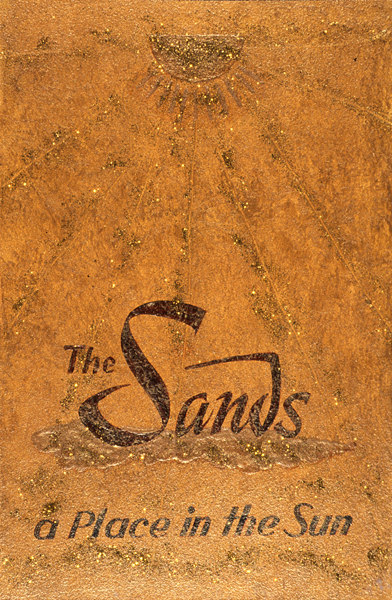 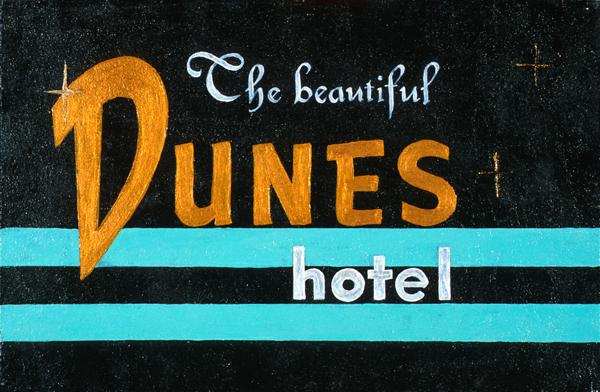 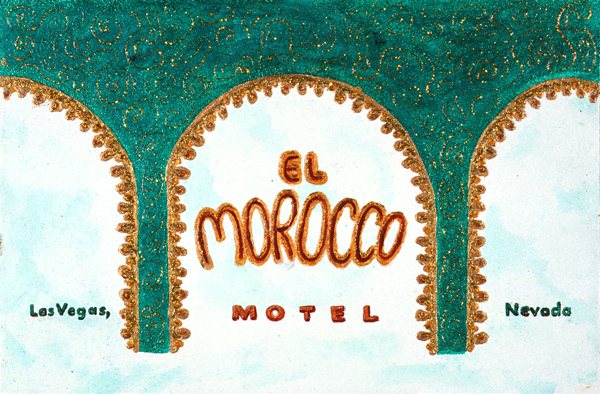 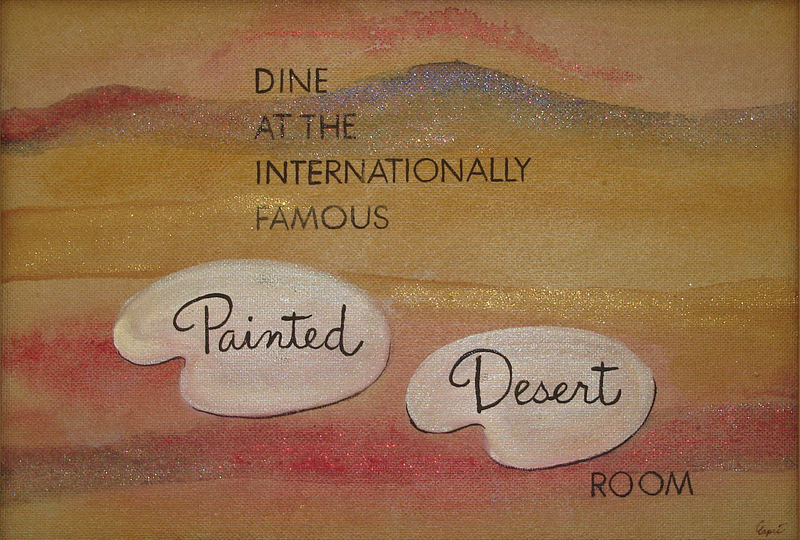 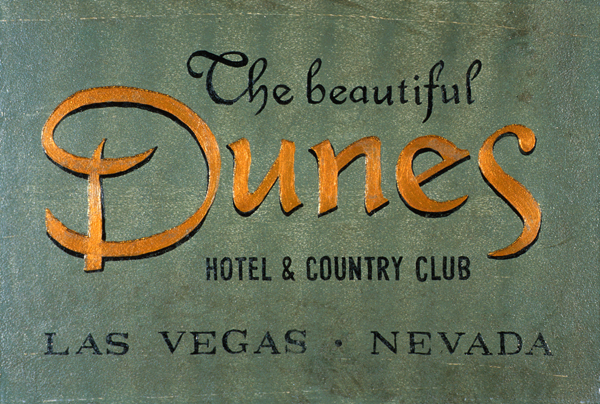 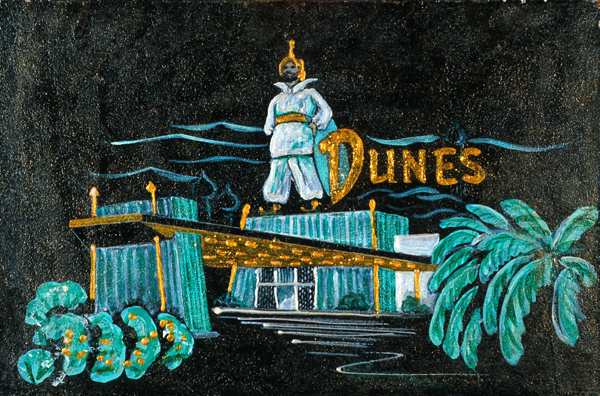 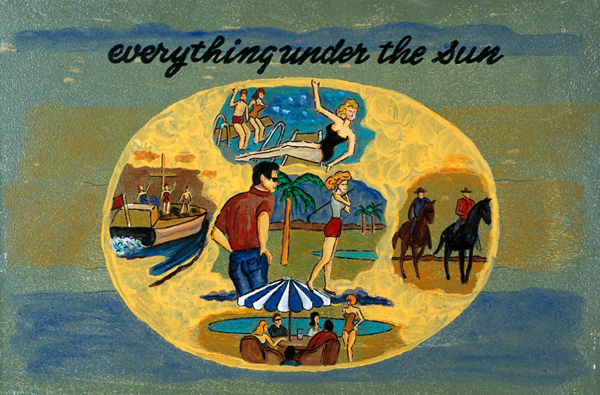 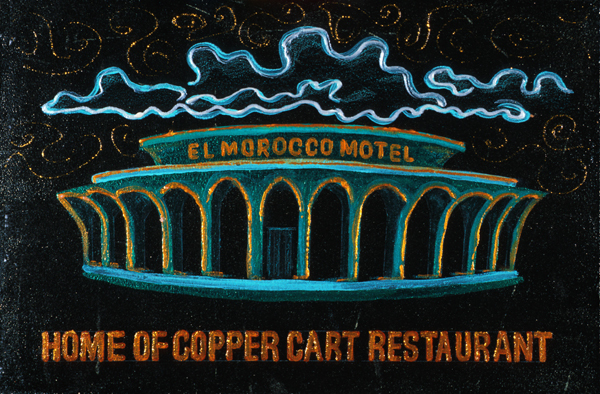 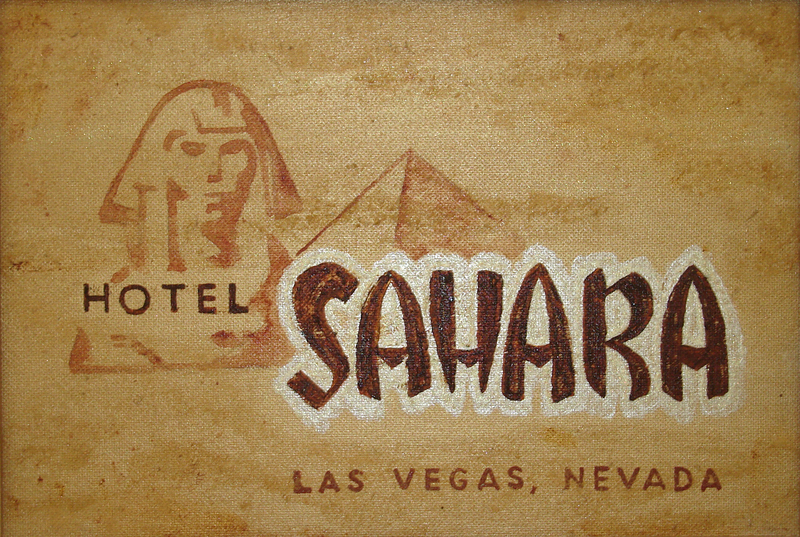 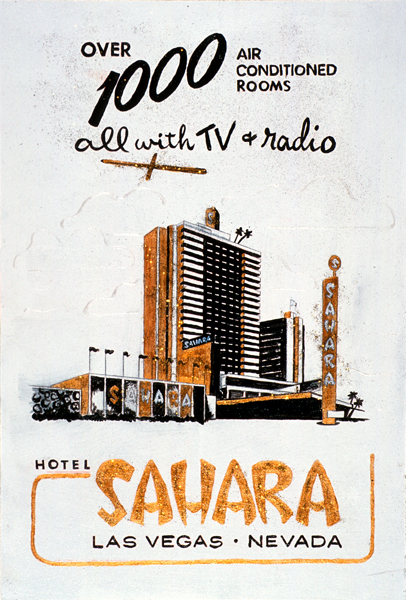 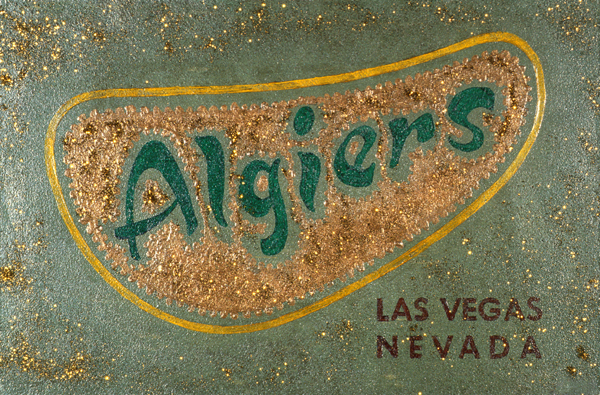 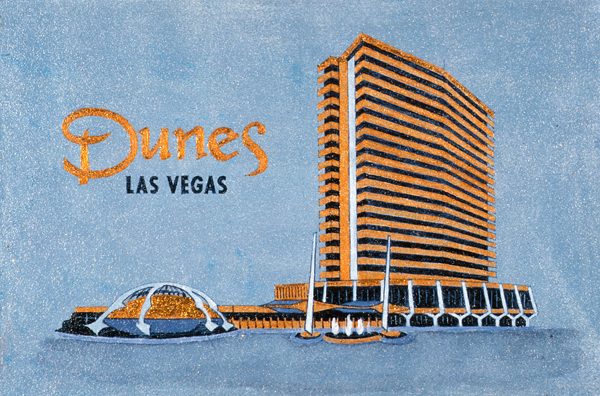 All the hotels represented in this collection took their names and imagery from their desert setting and include the Sahara, El Morocco, Algiers, Desert Inn, and of course the Sands. 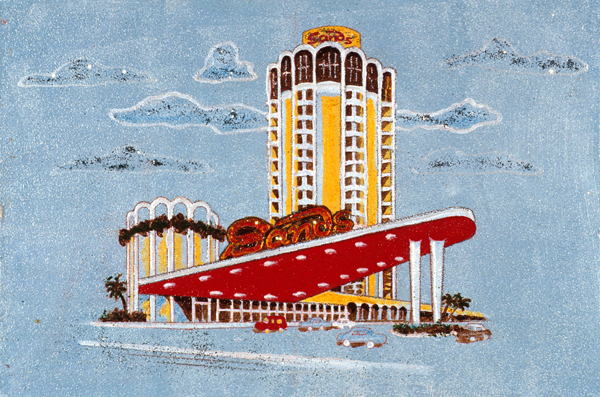 As a member of tiki and roadside fan groups, Cherry Capri has a great appreciation for signage and the auto-friendly buildings of the Mid 20th Century landscape. 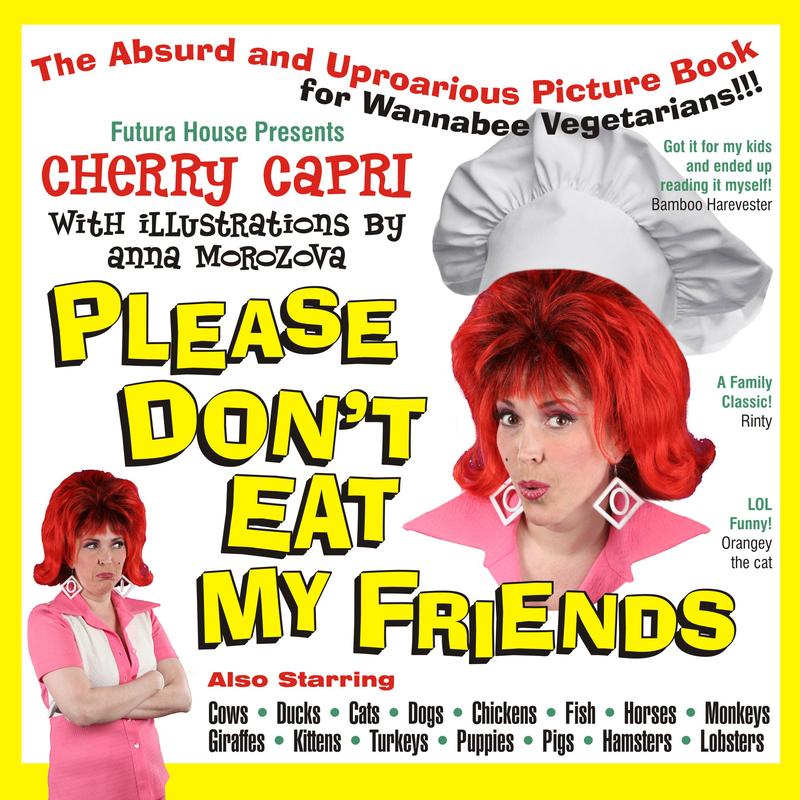 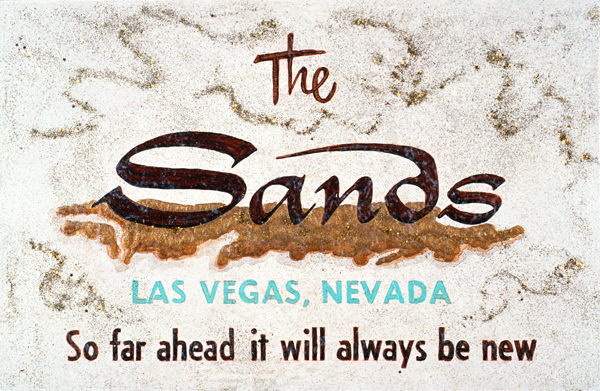 Cherry’s specific interest in Vegas casino architecture and signage began many years ago. 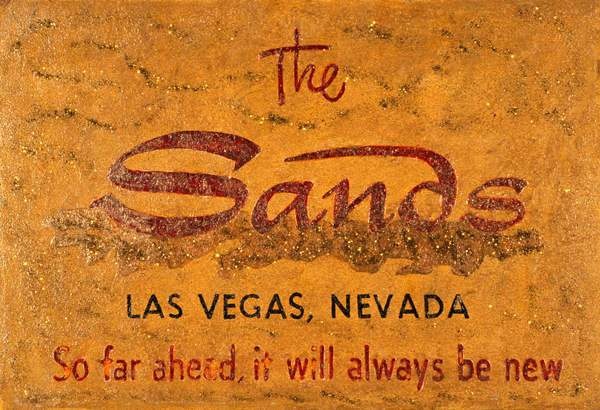 More recently, she hosted “Mondo Vegas” a tour of Sin City with Eric Lynxwiler from M.O.N.A. 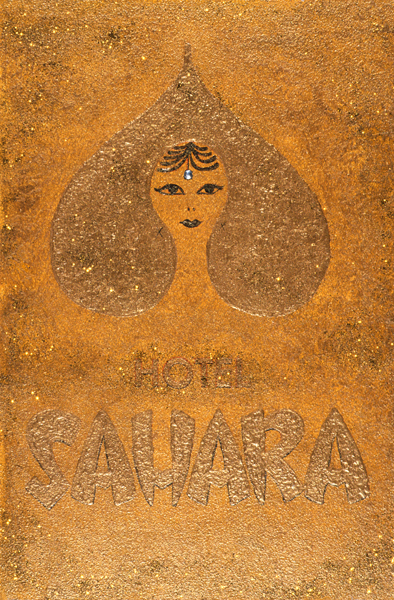 in conjunction with a stellar performance at the Hard Rock Hotel’s “Mondo Tiki” Event.